While working in an Excel file, you can create a new window, and see two of the worksheets at the same time. This is a good way to troubleshoot formulas, as shown in this short video. The written instructions are below the video. While working in an Excel file, you can create a new window, and see two of the worksheets at the same time. On the Excel Ribbon, click the View tab. 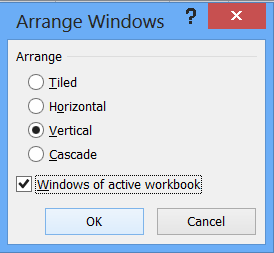 If you have multiple workbooks open, and only want to see the windows for the active workbook, add a check mark to "Windows of active workbook"
At first, both windows will show the same worksheet. To see a different sheet in one of the windows, scroll through the sheet tabs, and click on the tab that you want to see in the second window. NOTE: If you save the file with two windows open, and close Excel, those two windows will appear the next time that you open the file. To return to one window, see the instructions in the next section. If you have two windows open within an Excel workbook, you can close one of the windows, and go back to a single window. Select the window that you want to close. NOTE: It is best to leave open the window that is numbered 1 -- otherwise, some of the view settings, such as hidden gridlines, might be lost. Click the X at the top right of the selected window, to close it. OR, use the keyboard shortcut, Ctrl + W, to close the selected window. To return the remaining window to full size, double-click its title bar, OR click the Maximize button at the top right of the file's window. 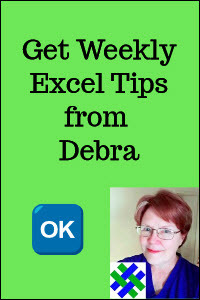 In Excel 2010, and earlier versions, there is only one main window in an Excel session. You can arrange the workbook windows, to see two or more Excel files at the same time. 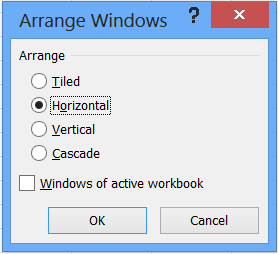 In the Arrange Windows dialog box, click one of the Arrange options, such as Horizontal, then click OK.
Click on the sheet tab that you want to copy. Press the Ctrl key, and drag the sheet tab to the location where you want the copy. You will see a small arrow, and a sheet symbol with a + sign, as you drag. When the arrow is in the location where you want the copy, release the mouse button, and then release the Ctrl key. It's best to avoid merged cells, if possible, because they can make it harder to sort and filter a worksheet. To create multi-column headings, you can center text over several columns, without merging the heading cells. For example, type the heading "Qtr 01", and center it over the columns for January, February and March. Type the heading in one of the cells where you want it centered. In this example, "Qtr 01" is typed in cell B3. Select all the cells where you want the heading centered -- cells B3:D3 in this example. On the Ribbon's Home tab, click the Alignment Settings button, at the bottom right of the Alignment group. 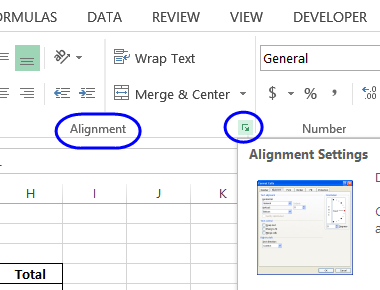 Or, press Ctrl + 1 -- the shortcut to open the Format Cells window -- and click the Alignment tab. The heading will be centered across the selected columns, but the cells are not merged -- you can select any cell individually. TIP: Add an outside border to the centered heading, so it looks like a single, merged cell. If you're printing worksheets at a reduced scale, you can adjust the settings so that the footer text doesn't end up too small to read. 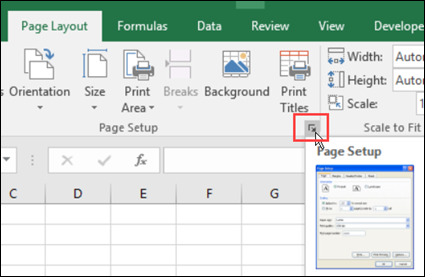 Go to the Page Layout tab on the Excel Ribbon. In the Page Setup group of commands, click the little arrow at the bottom right of that group, to open the Page Setup dialog box. Then, click OK to exit. NOTE: If both workbooks are visible, you can use the mouse shortcut to drag a copy from one window to another. 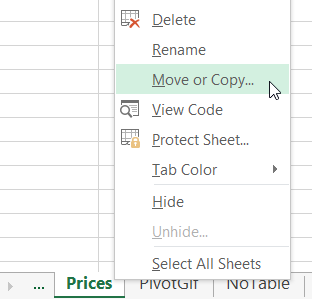 Right-click on the sheet tab that you want to copy, and click Move or Copy. From the "To Book" drop down, select the name of the workbook where you want to add a copy of the worksheet. From the "Before Sheet" drop down, select a location for the sheet. 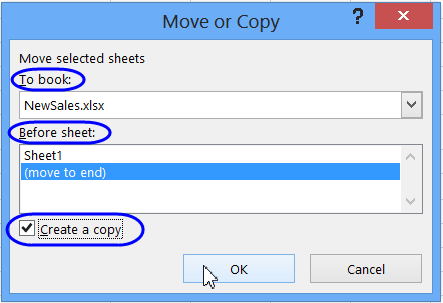 Check that the sheet appears in both workbooks, and then you can save and close the files. If you select two or more sheets, anything you do on the active sheet will also happen on the other selected sheets. WARNING: After you finish your changes, remember to ungroup the sheets! 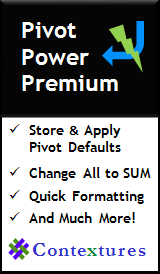 To select all the sheets, right-click on any sheet tab, and click Select All Sheets. In the Title Bar at the top of the Excel window, you should see the file name, with [Group] after the name. That will remind you that multiple sheets are selected. Make your changes on the active sheet. (optional) Click the Options button, and select the file settings that you need, and click OK.
Click Publish, to create the PFD file in the selected folder. To prevent people from scrolling on a worksheet, you can set the sheet's ScrollArea property. Watch this video to see the steps, and the written instructions are below the video. Even if a worksheet is protected, you are able to scroll in any direction, and see what is on the sheet. 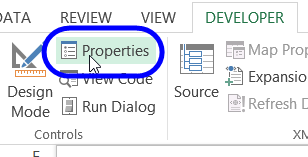 To prevent scrolling, you can change the ScrollArea property for the worksheet, either manually or with a macro. The Scroll Area setting is handy as a navigation aid, and it might deter people from clicking or scrolling through the worksheet. However, it can be easily removed, so do not depend on it to add security to your file. NOTE: The Scroll Area has to be set each time the workbook opens. To automate this, you can use a macro, as shown in the next section. Click on the worksheet, and you will be restricted to clicking and scrolling in the Scroll Area. The Scroll Area setting has to be set each time the workbook opens, and you can automate that with a macro. Copy the SetAllScrollAreas macro to a regular module in your workbook. 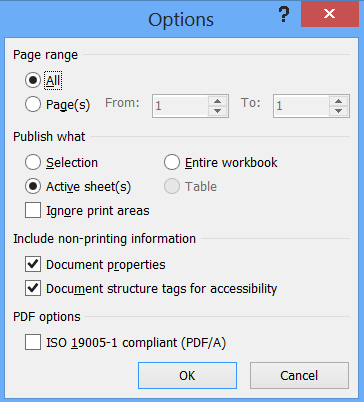 It will set the Scroll area for each worksheet in the file, based on the Used Range on that sheet. 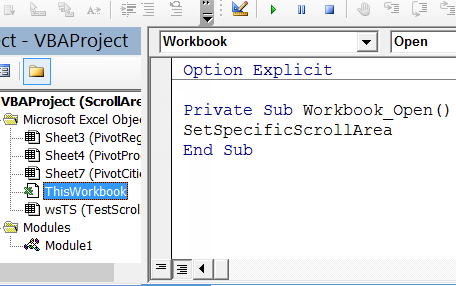 Then, add the SetAllScrollAreas macro name to the Worksheet_Open procedure in the ThisWorkbook module. 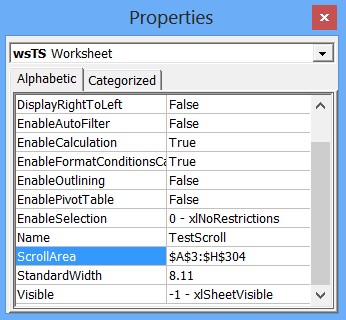 This will set the scroll areas on all sheets, each time that the workbook is opened and macros are enabled. 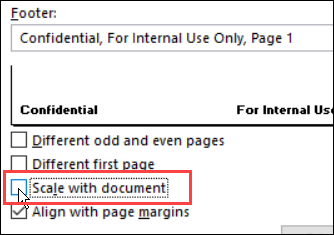 In Excel 2010 and earlier, there are 3 sheets in a new workbook, by default. You can change that setting to a different number. 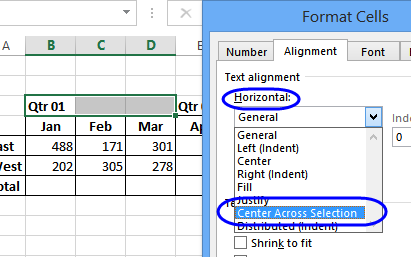 See the steps in in Excel 2007, this short video. Note: In Excel 2010, click the File tab, instead of the Office button, and go to the General category in the Options. Click here to download the ScrollArea sample file. It is zipped, and in xlsm format, and contains macros. Click here to download the Center Without Merging sample file. It is zipped, and in xlsx format, and does not contain any macros.